Use this power bank to charge your devices at any time ! You will not run out of battery ! - Connect the cable to your device. 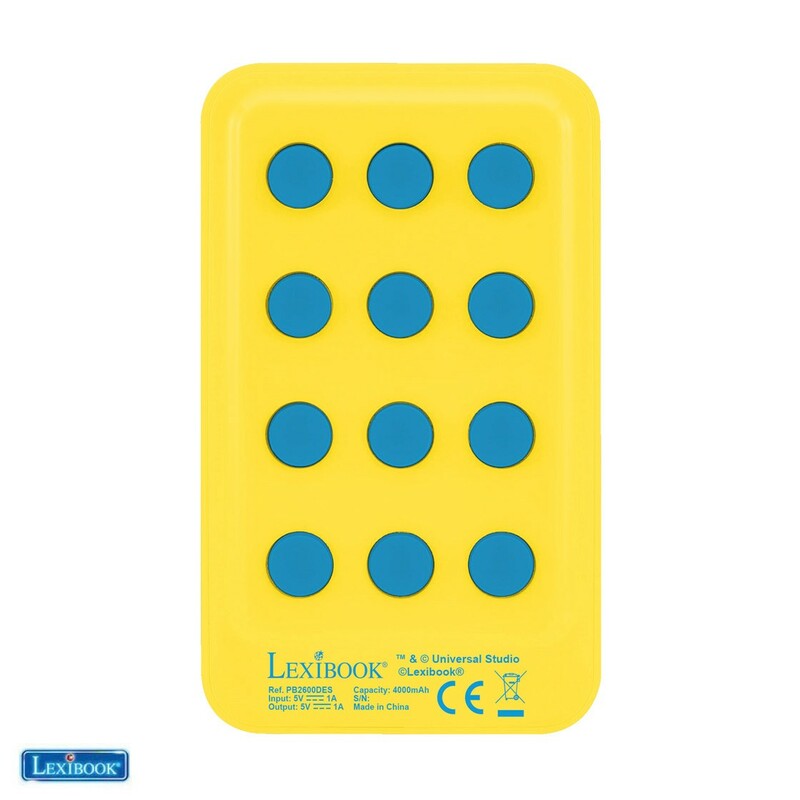 - You can stick the power bank to your device thanks to its suction cups. 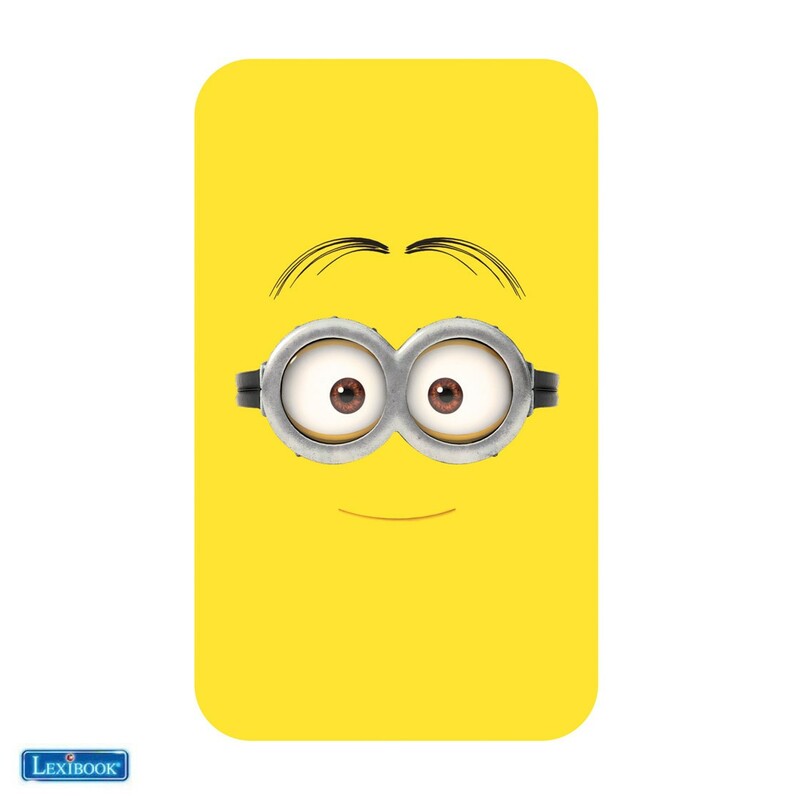 - Exclusive Despicable Me design ! - 4.000 mAh capacity : charge up to 2 times your mobile phone or 1.5 time your tablet. - 4 LED power indicator. - Compatible with most tablets and smartphones. 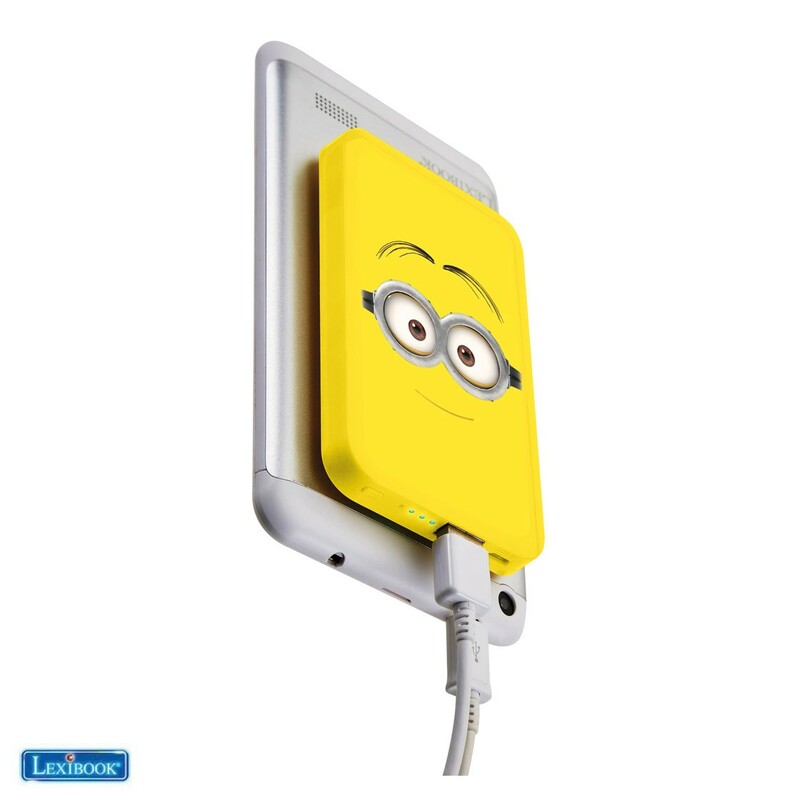 Avis détaillé : "Power Bank 4000 mAh Despicable Me"